The Putumayo music company has released a tribute set to superstar Bob Marley featuring artistes from Africa, Brazil, Canada and the United States. Putumayo is best known for producing compilation albums by world-beat artistes. 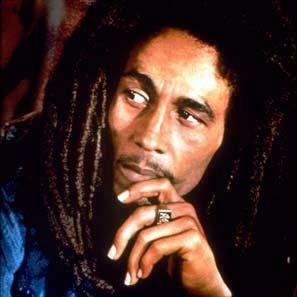 Tribute To a Reggae Legend is the title of the 12-track album which was released July 13. It contains covers of mostly popular songs by the the King of Reggae Bob Marley. Rising California reggae band Rebelution, the Sierra Leone All Stars and Northern Lights, another American band, are some of the acts which contributed to the project. Rebelution covered Natural Mystic, while Sierra Leone All Stars put their touch on No Woman No Cry, Marley’s classic ode to ghetto life. The oft-covered ballad, Waiting In Vain, is done by Northern Lights. The other tracks and artistes on Tribute To a Reggae Legend are Three Plus (from Hawaii) doing Is This Love; Robi Kahakalau (Hawaii) covering Do It Twice; Caracol (Canada) Could You Be Loved; Céu (Brazil) Concrete Jungle; Rocky Dawuni (Ghana) Sun Is Shining; Freshlyground (South Africa) Africa Unite; Julie Crochetière (Canada)Mellow Mood; Funkadesi (USA/India) Real Situation; Playing for Change (International) One Love. The disc has received mixed reviews. Blogcritics.org describes it as “good feelings all around. That’s the spirit of this uneven but overall quite worthwhile disc.” Worldwide support. In the 1970s when his career took off, Marley’s biggest audience was in Europe. He had pockets of support throughout the United States’ East and West coasts, but rarely toured Canada. He performed in Brazil in 1980.